This example creates a linear gradient with four colors and uses it to paint a Rectangle. Initializes a new instance of the GradientStop class. Gets or sets the color of the gradient stop. 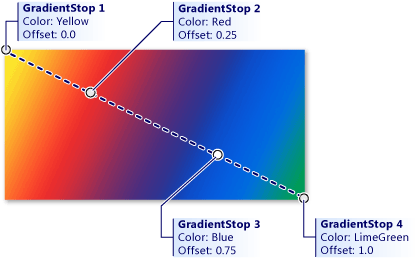 Gets the location of the gradient stop within the gradient vector. Identifies the Offset dependency property.